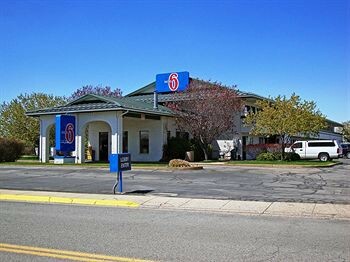 Property Location With a stay at Motel 6 Ogden, 21st Street in Ogden, you&apos;ll be close to Ogden Nature Center and Ogden Utah Temple. This motel is within close proximity of The Junction and Peery&apos;s Egyptian Theater.Rooms Make yourself at home in one of the 92 air-conditioned guestrooms. Complimentary wireless Internet access keeps you connected, and satellite programming is available for your entertainment. Conveniences include irons/ironing boards, as well as phones with free local calls.Rec, Spa, Premium Amenities Enjoy the recreation opportunities such as a seasonal outdoor pool or make use of other amenities including complimentary wireless Internet access.Business, Other Amenities Featured amenities include a 24-hour front desk, laundry facilities, and coffee/tea in the lobby. Free self parking is available onsite.